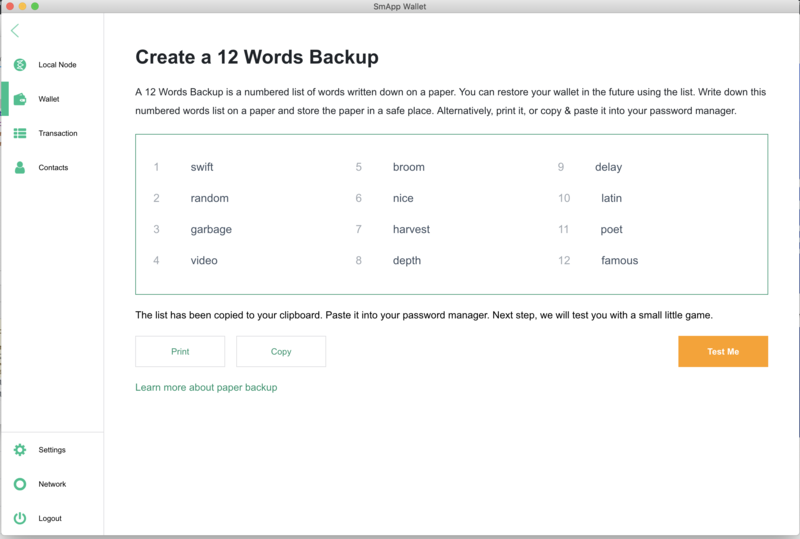 Create 12 words backup page. Displaying the words only for now. (no print or copy yet). This will clash with "mnemonic" param in wallet actions. OK np, this brings us back to how it was coded to begin with.